Argan Oil- This is the same oil used in the Morrocanoil products. Argan oil is rich in vitamin E and fatty acids. Used in hair treatments to deliver deep hydration and to strengthen brittle hair and nails. Baobab oil- comes from the baobab tree in Africa and has an average life span of 500 years. The seeds are rich in vitamins A, E, and F and sterols, and is a highly absorbing oil to use in products made to moisturize dry hair. 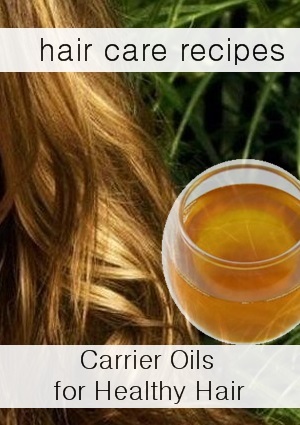 Carrier Oils, also known as base oils, deliver nutrients to the hair and scalp. Many Carrier oils have skin healing and hair conditioning properties: Jojoba used to regulate sebum, coconut oil to moisturizer hair, castor oil makes hair slinky and shiny. 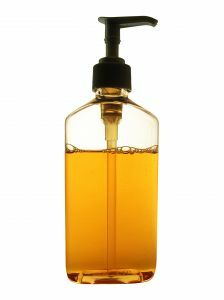 You add oils to natural shampoos for moisture and to detangle the hair. Use them in hair serums as the main base of the recipe. And for hot oil treatments for dry, brittle hair. Rosemary Herbal Oil - is very useful in treating dandruff and dry scalp. Rosemary oil helps in stimulating follicles, as a result of which, hair will grow faster and stronger. Castor oil - Rich in ricinoleic acid (triglyceride of fatty acid), castor oil can be used to treat skin conditions such as fungal infections. It nourishes hair and prevents the scalp from drying by retaining moisture. Castor oil added to hair care products helps to seal moisture into the cuticle, soften the hair and can thicken hair. Hazelnut Oil- This is the perfect oil to use if you have oily hair. Add it to your shampoo recipes and hair care treatments when you need the oil component but cannot take the regular heaviness of other oils. Great for hair treatment serums where you need the dilution of an oil but the benefit of the essential oils. Vitamin E oil - Vitamin E is a well known antioxidant and when added to homemade products, it helps extend their shelf life. Vitamin E acts as a rejuvenator for the scalp and skin. Avocado Oil- Perfect for Dry Hair. Avocado oil is full of vitamins your hair needs like vitamins A, E, D and potassium. This added to other carrier oils makes a perfect deep conditioning treatment. Hemp Seed Oil - Brings gloss and manageability to hair as well as relief from dry scalp or hair damage caused by blow-dryer heat, chemical perms, coloring or sunlight. Loaded with replenishing Essential Fatty Acids that moisturize hair. Jojoba Oil - Great for all hair types. Jojoba has an ability to inhibit excess activity of the sebaceous glands making it the perfect choice for people with oily scalps that still need conditioning. Can be used for dry hair as it helps to moisturize your hair properly. Jojoba oil is the closest oil to our skin's natural oil. Camelina Oil- Omega-3 fatty acids, Vitamin E, and anti-oxidants. Camelina Oil is a great oil to use in skin care and hair care recipes. Olive Oil - strengthens your hair and nourishes. Olive oil adds loads of shine and smoothes the cuticle. Great for fizzy hair! Just a note: You might want to use a conditioner after a hot olive oil hair treatment as I have found hair is still tangled. Coconut Oil - Helps in the lubrication of the hair. It softens the hair and conditions the scalp. Coconut oil also provides the essential proteins required for nourishing damaged hair. It is very useful for damaged hair due to its ability to strengthen the hair cuticle. Also said to be a wonderful oil to help naturally treat dandruff.